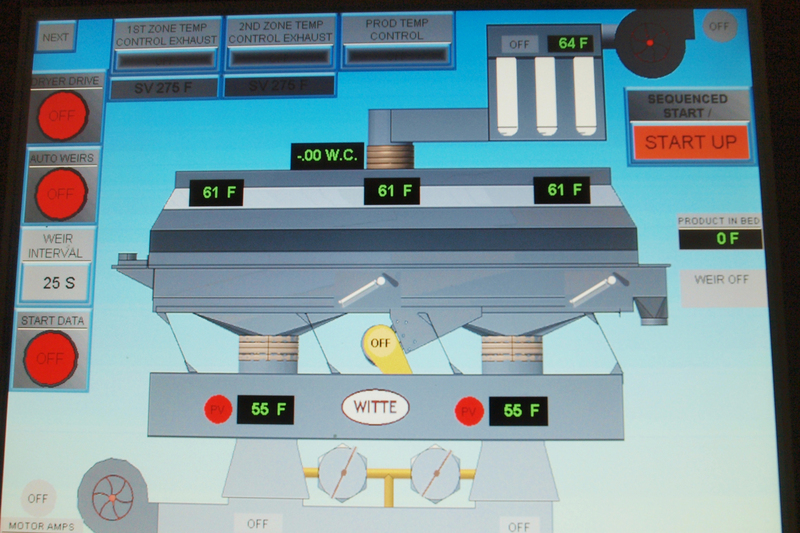 Washington, NJ: Process equipment manufacturer The Witte Co., Washington, New Jersey (www.witte.com), has unveiled remote monitoring and control on its line of vibrating fluid bed dryers, coolers, pellet classifiers, conveyors and other equipment. Controlled remotely with a dedicated PLC HMI, the remote desktop capability enables process engineers to start and stop batch and continuous operations, adjust their parameters and check process conditions such as air temperature, airstream velocity and retention time in real-time while away from the processing line. Ideal for food, beverage, chemical, pharmaceutical, plastics, mineral and other processors with multiple facilities worldwide and/or those operating in controlled environments, the remote desktop capability is available as part of the company’s PLC-based, integrated control system. The remote access, monitoring and control capability may be retrofit on Witte process equipment in the field.